First Impressions come in many forms – how we dress and speak, our body language, and even how we present our living and working spaces. Perception isn’t necessarily reality; but conclusions are often made on (first) visual impressions. Our bosses, coworkers or potential clients may judge our competency or professionalism on what our physical working environment looks like. What does your office, cubicle or desk say about you? Can you see the top of the desk or is there a sea of white strewn all over? Are the shelves so full that they haven’t been dusted since Y2K? Or is your desk brimming with so many boxes of Wheat Thins, Twinkies, Mountain Dew and personal products that it looks more like your kitchen or bathroom? A desk covered in papers while you’re working is understandable. But shuffling through small mounds (that have been there since Easter) when asked for something can make you appear unfocused or scattered. 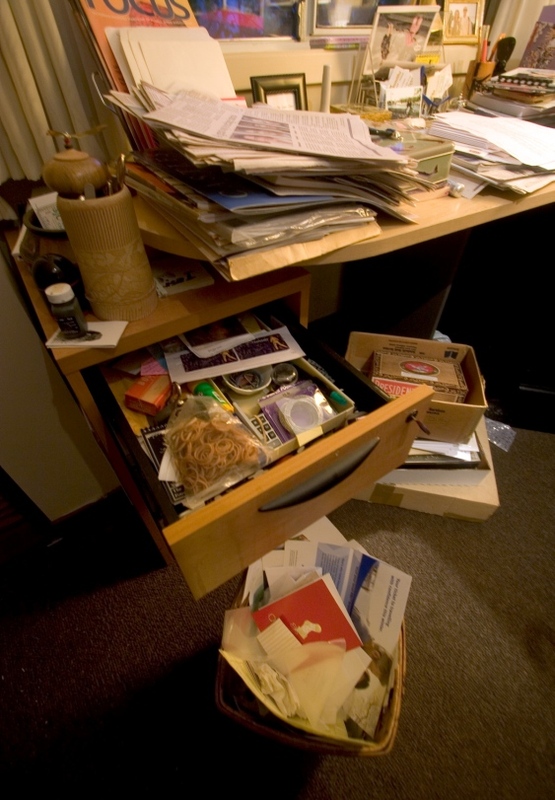 Remove all the “clutter items” from the top of your desk or workspace and put them on the floor. Now only put back the items you use on a daily basis. Determine which items are bringing value and whether they can be better kept in a separate location (the break room, a locker or even a box under the desk). If your bulletin board is looking like your refrigerator at home, it’s time to consider rotating photos, pictures so you can enjoy them more. And check for “expired” events and reminders which can be thrown away! Perhaps reference materials and papers can be scanned or put in a Word document. One simple file on your desktop can keep all the information in a quickly accessible location! When your work space is clean, you’re more creative and focused and better yet, less stressed! If you need more tips on giving your area a facelift (and projecting a new image), drop me an email and I’ll be happy to help.